This post contains affiliate links. Thanks for supporting Pitter & Glink! Hey, y'all! 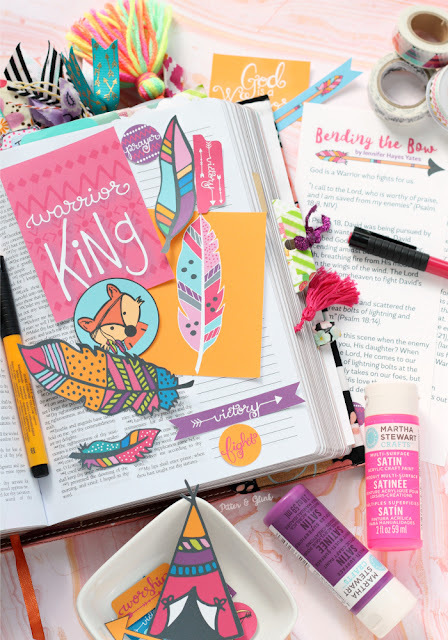 As you know, I love Bible journaling, and I love God's Word. 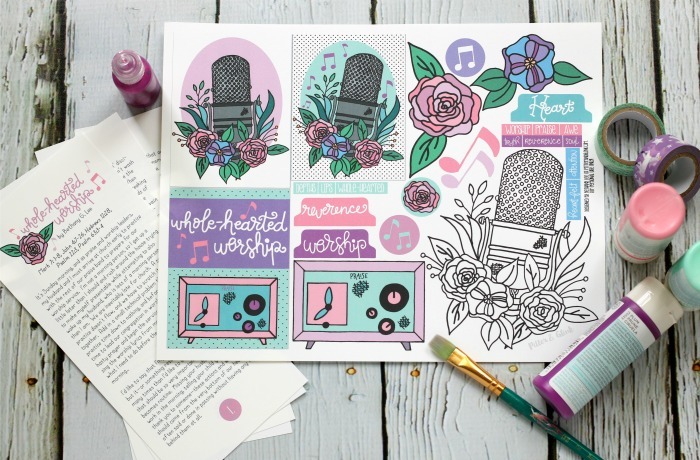 In months past, I have collaborated with other bloggers to bring you free devotions and coordinating Bible journaling printables. 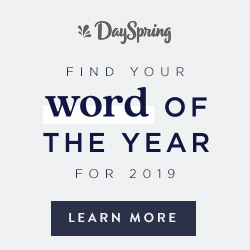 This month, my friend Jennifer Hayes Yates--Christian devotion writer and blogger at One Thing--asked me to write a devotion as part of a three-week series on her blog all about digging deeper with God. I was so excited that she asked me to write something because I have been wanting to write more lately, and her request was just the push I needed to finally do it. The topic she gave me was worship, so I set aside a few days to study what God says about worship, and I wrote a devotion entitled "Whole-Hearted Worship." When I was studying worship to write this devotion, one of the verses I found inspired me to do an entry in my journaling Bible. You might have seen the page I illustrated on Instagram. 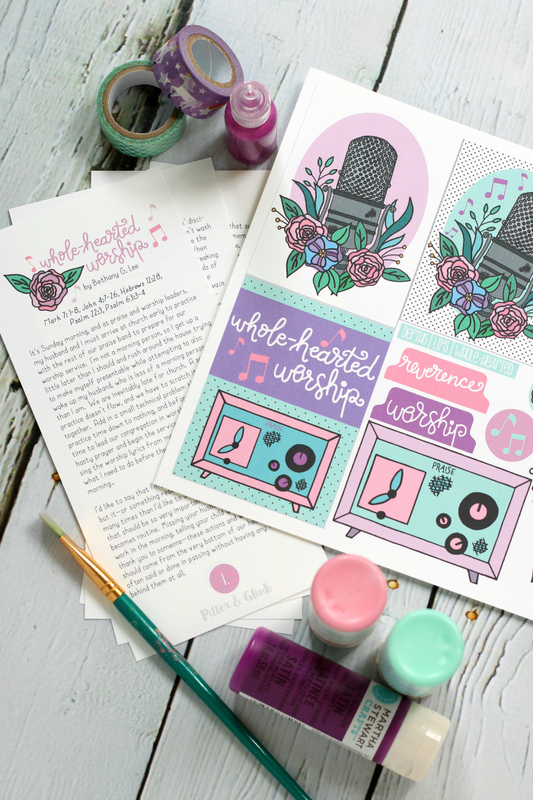 Because people seemed to like the page a lot, I decided to use it as inspiration for some FREE Bible journaling goodies that coordinate with the "Whole-Hearted Worship" devotion. Of course, I had to use pink in my designs, but this time I added purples, blues, and greens for a bit of a different color palette than normal. 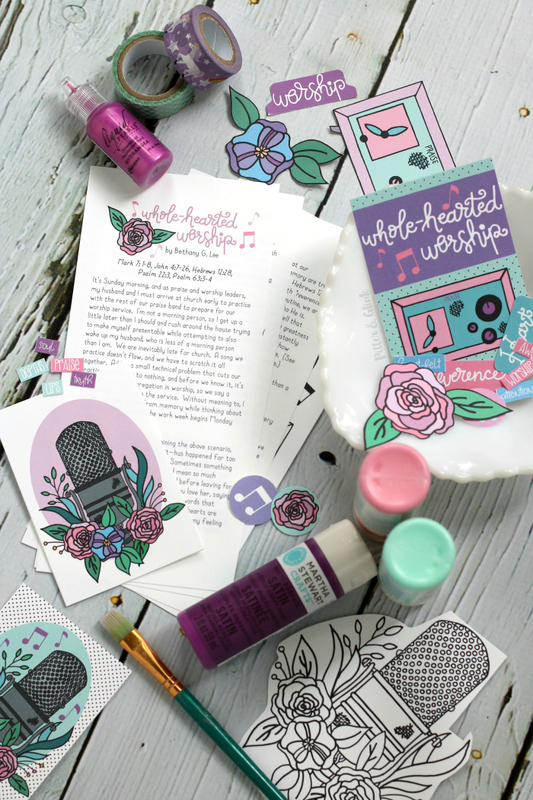 And because some of you enjoyed the traceable from my last Bible journaling set, I added a microphone traceable to this set, along with the usual journaling cards, tabs, circles, and itty-bitty words. 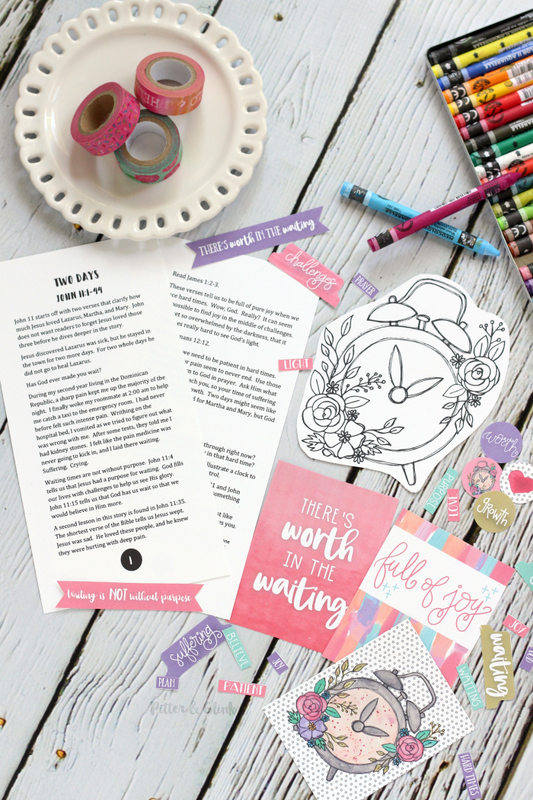 Download the FREE Bible journaling printable HERE. 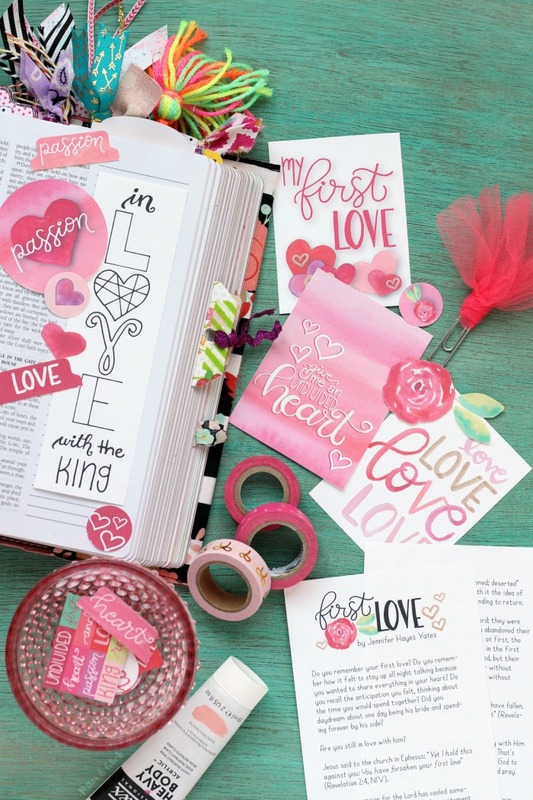 You'll need the devotion to go along with the Bible journaling goodies, and you can find that on Jennifer's blog, along with a little bit of background to the devotion. Click HERE to go to Jennifer's blog. While you're there, check out the other posts in her Digging Deeper series and subscribe to her blog for weekly encouragement. Also, I highly encourage you to check out the Bible study she wrote entitled Let's Run. You can find it on Amazon via my affiliate link. Once you download both parts of the "Whole-Hearted Worship" devotion set, it's time to dig deeper in worship! I pray that God uses the words that I wrote to help you develop a closer relationship with Him through worship. As usual, if you use the printables in your Bible and share your page on social media, please tag me so I can see! God bless! This is so "You!" I just printed mine out and am sharing on social media! Thank you for sharing your talents with us my friend! Thank you so much for sharing your talents. 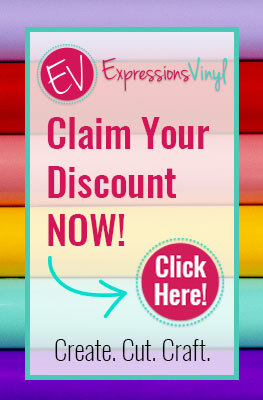 I am new to your page and I'm really enjoying the Bible journaling printables. Thanks!